The former ‘Today’ host had been lying low in the Hamptons. Former Today show host Matt Lauer had been hiding out in his Long Island home since he was fired from NBC over sexual misconduct allegations. But he came into Manhattan to party it up at CNN chief Jeff Zucker’s swanky birthday party on April 6. Click through the gallery for all the info. Matt, 61, attended Jeff’s 54th birthday bash at the McKittrick Hotel on Saturday, a source told Page Six. The disgraced anchor reportedly had a “great time” and “a lot of laughs.” Jeff’s actual birthday is April 9. Jeff, who took over CNN in 2013, worked at Today and NBC with Matt for years. This was one of Matt’s first public outings since he was fired from NBC after he was accused of sexual misconduct by multiple women. Since then, he’s mostly stayed in the Hamptons, where he spends time with his three kids. He’s also in the middle of a divorce with wife Annette Roque. But that doesn’t mean he’s friendless. His former NBC colleague Hoda Kotb recently admitted that they’re still friends. 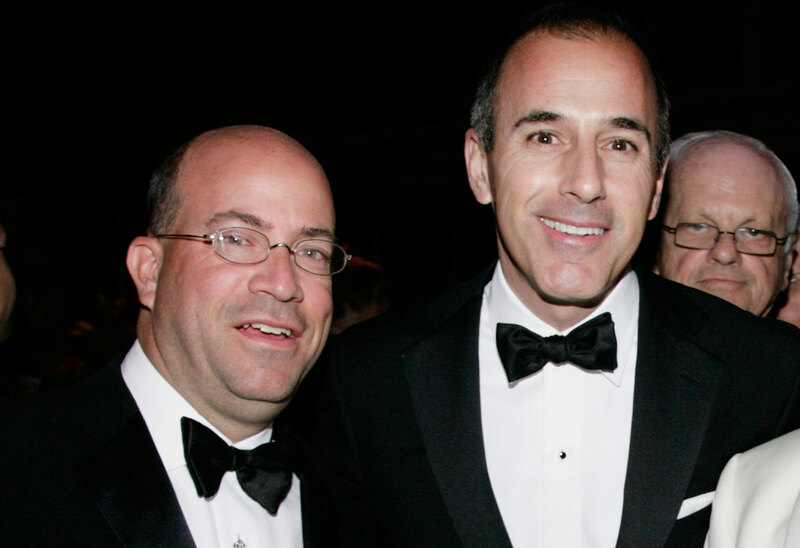 What do you think of Matt attending Jeff Zucker’s birthday? Sound off in the comments!